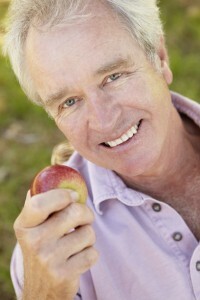 Are You Looking for Cheap Dental Implants? If you’re looking for cheap dental implants in Houston, you may be jeopardizing your health. Affordable dental implants, sure—but cheap? No way. Do you really want a cheap dental implant put into your mouth…or, a cheap oral surgeon operating on your mouth? Furthermore, would you expect a cheap implant and a cheap oral surgeon’s work to be long lasting? Consider the consequences of cut-rate dental restorations, five, fifteen, or twenty years from now. What you really want is the affordable but high quality dental implants solution offered at Piney Point OMS. Dr. Koo is affordable, but not cheap, and his work will last a lifetime. For the quality restorations you deserve, make an appointment with the premier dental implants destination of Houston, Piney Point OMS. Dr. Koo is a highly qualified, experienced, and affordable oral surgeon. The talented oral surgery team at Piney Point OMS delivers quality care daily throughout greater Houston, TX, including: Stafford, Meyerland, Bellaire, Lamar Terrace, Galleria, Briargrove, Rice Military, Heights, Bunker Hill Village, Hunters Creek Village, Hedwig Village, Katy, and the surrounding communities. >Piney Point OMS strives to make high quality dental implant surgery affordable and accessible to every patient seeking dental implants treatment. While the average cost of dental implants surgery is about $2,000, most dental insurance plans can help cover this cost. Placing multiple implants at once can also reduce the overall price with each extra implant purchased. The friendly team at Piney Point OMS is always more than happy to help you find out how much of yourdental implant expense can be covered under your dental insurance plan. Piney Point OMS also offers alternative payment methods including: Visa, MasterCard, Discover, and American Express credit cards, as well as third party financing options. If you want high quality, but affordable dental implants options, make an appointment with the leading Houston oral surgery practice, Piney Point OMS today. Dr. Koo is a trusted Houston oral surgeon. The experienced oral surgery team at Piney Point OMS proudly restores smiles daily throughout greater Houston, TX, including: Stafford, Meyerland, Bellaire, Lamar Terrace, Galleria, Briargrove, Rice Military, Heights, Bunker Hill Village, Hunters Creek Village, Hedwig Village, Katy, and neighboring areas.